Veronica Guerin’s story is certainly worthy of silver-screen adaptation. A courageous Irish investigative journalist, Guerin wrote in-depth articles on Ireland’s criminal drug trade and paid the ultimate price for her refusal to budge from the truth. She was murdered on 26 June 1996 by the drug gang she was reporting. This event galvanised Ireland into cracking down on the country’s drug dealers and Guerin is remembered today for her determination and bravery in pursuit of a story. While presented superficially with gritty realism, Veronica Guerin suffers by repeated slips into Hollywood sentimentality – not surprising when considering the director. Joel Schumacher, the man responsible for the ultra-neon campfest of Batman & Robin, is an odd choice for the film’s subject matter. Schumacher bungles Veronica Guerin with a raft of wrong choices and clichés. Cheesy slo-mo, an intrusively saccharine score and unadventurous camerawork all hamper what should’ve been a great film. Aesthetically, Veronica Guerin also relies on conventional fare. Dublin’s darker side is presented in standard Hollywood fashion. Drug dens are all used needles and grimy sinks and brothels are populated by dead-eyed girls and shot in subdued lighting. There is an unfortunate sense that this is an Irish story being handled by an American, which holds Veronica Guerin back. It’s Veronica Guerin’s central performance that keeps the film from veering into mediocrity. Cate Blanchett’s rock-solid turn as Guerin is centred on a strong sense of conviction and emotional truth. Though she imbues Guerin with feistiness, it’s when Blanchett goes deeper and reveals the fear sitting behind Guerin’s unshakable exterior that we really see the resolve that propels the character. Ciarán Hinds is also excellent in support as gangster John Traynor – as slippery and seedy as his moustache would suggest. 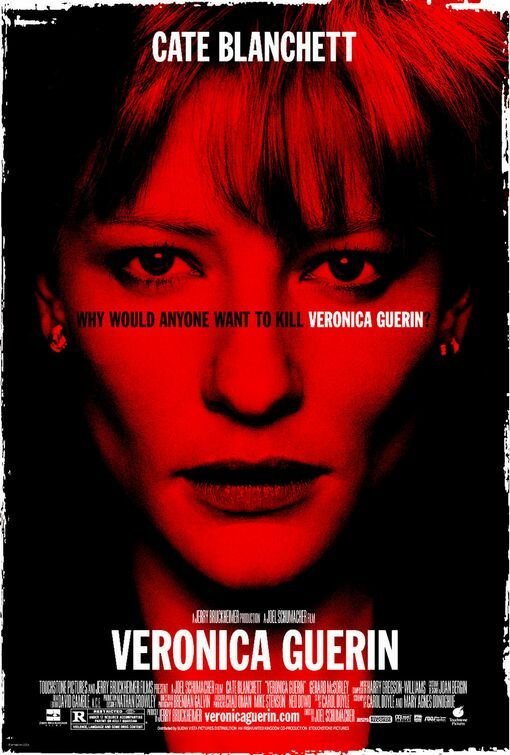 Whilst not an entirely bad film Veronica Guerin smacks of mismanagement and missed opportunity. What could’ve been a hard-hitting biopic of a truly inspirational figure is actually an unfortunate victim of Hollywood polish and is kept from greatness by Schumacher’s cloying need for sentiment.